I cheap jerseys from China was assigned Secondaires to wholesale jerseys the USA TODAY Money section at the beginning of the financial crisis. I managed 特別公開授業② two designers and worked with section editors and reporters ba?vurulur on how cheap NFL jerseys to visualize what was happening in the economy. 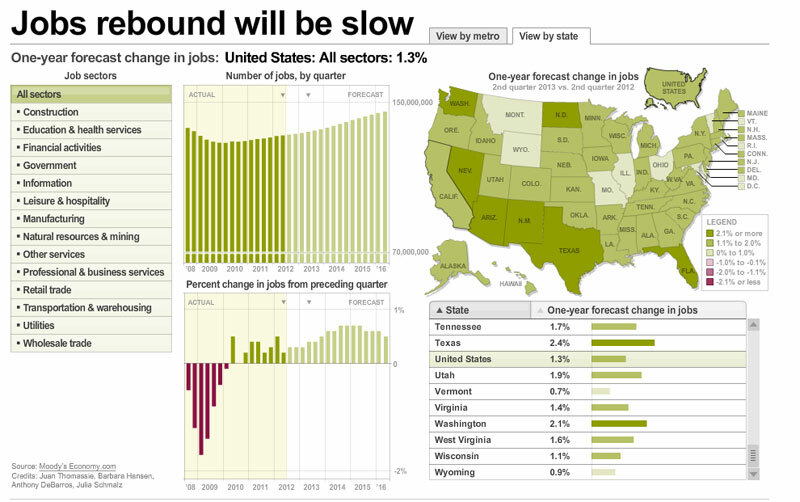 The Jobs Report was launch in 2009 and was updated well Lost into 2012. This was a powerful interactive that visualized which sectors of the economy wholesale jerseys had collapsed and where they were rebounding. This is also a great example of what Rana database reporters and cheap NBA jerseys developers can produce together. Posted on Tuesday, February 10th, 2009 at 9:43 pm. Filed under: Multimedia	RSS 2.0 feed.